Successfully Added Xiaomi Redmi 4a Android Smartphone - Android 6.0, Snapdragon 425 CPU, 2GB RAM, Dual-Band Wi-Fi, 4G (Rose-Gold) to your Shopping Cart. With the Xiaomi Redmi 4a, you will be able to take your mobile entertainment and overall user experience to an entirely new level. Packing a powerful Quad-Core CPU that has been clocked at 1.4GHz, this Android smartphone lets you enjoy the latest applications, most demanding games, and HD movies without dropping a frame. Added to that comes the phone’s 2GB of RAM that supports the heaviest of multitasking sessions out there – allowing you to use multiple applications simultaneously without ever needing to worry about slowing down your device. No matter what you throw at this beautiful Chinese smartphone, the Xiaomi Redmi 4a will take it with ease, allowing you to take the absolute most out of your smartphone experience. Running on the MIUI 8 operating system, this Xiaomi phone brings along a smooth and powerful user experience. Based on Android 6.0, this operating system does not only come along with all the familiar Android features - it also packs its own customization options allowing you to adjust your phone’s interface exactly to your liking. From the outside, this Chinese smartphone features a sleek and stylish design that has been topped off with a beautiful 5-Inch HD display. Allowing you to enjoy all your favorite media, games, and applications in stunning beauty and vivid color. This 5-Ich smartphone truly takes your mobile entertainment experience to the next level. With its beautiful 13MP rear camera, this Android phone allows you to snap professional grade pictures at any time of the day. Whether you’re out enjoying a stunning view during your upcoming holiday, or simply enjoying a girl’s night out with your friends in town – with this stunning camera in your pocket you can be assured that not a single special moment in life will stay uncaptured. Supporting 16GB of internal memory and providing the possibility to add another 128GB externally, this Chinese smartphone is guaranteed to offer enough space to store all the beautiful pictures snapped with its amazing camera. Download the latest media, stream HD movies, and browse the web at lightning speeds – with the Xiaomi Redmi 4a a laggy internet connection will be an issue of the past. Supporting both Dual-Band Wi-Fi and 4G connectivity, this Android smartphone lets you enjoy the fastest data speeds out there no matter whether you’re at home or outdoors. Packing a whopping 3120mAh battery, you’ll be able to enjoy the internet along with all this Xiaomi phone has to offer for numerous hours continuously without ever needing to worry about running out of juice. From now on you can be assured you’ll never be bored again as, with this phone in your pocket; there’ll always be something at hand to keep you entertained. 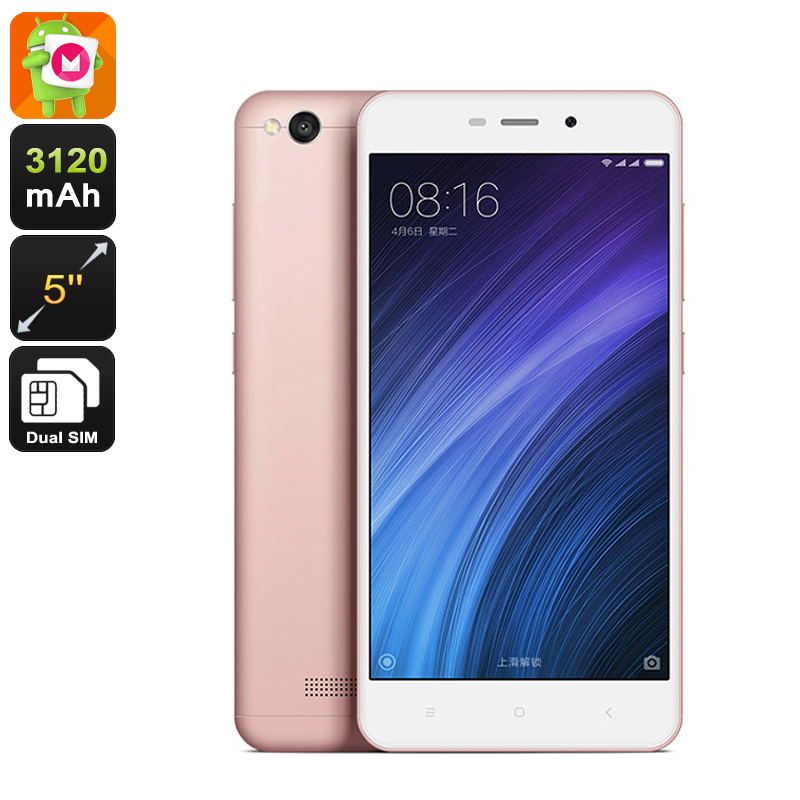 The Xiaomi Redmi 4a comes with a 12 months warranty, brought to you by the leader in Android phones as well as wholesale electronic gadgets..